People I know and respect have been raving about this TV series for months. And then I read not long ago how Buffy & Firefly creator Joss Whedon had called Veronica Mars his absolute passion, and a series that impressed him. Since I hold a high opinion of Whedon and his contributions to the medium of TV, I figured I really had no excuse anymore for not trying this series out. So, on a whim, I ordered the complete first season box set of Veronica Mars (currently in its second season on UPN). The set arrived yesterday morning, and with anticipation, I watched the first three episodes with my wife last night, expecting great things. The "pilot" and first two episodes of this series met -- and exceeded -- all my expectations. How often can you say that about a TV show these days? Frankly, I'm kind of flabbergasted. Here's a series where the writing is smarter, snappier and wittier than anything else on the air. I wasn't prepared for a program - in the first friggin' episode, no less - to vault over ALL the writing I've seen on TV this year so far (and I'm including Surface, Invasion, Threshold, Supernatural, Night Stalker, Ghost Whisperer, Prison Break, Reunion, Boston Legal, My Name is Earl, even Lost and Medium). The DVD box describes Veronica Mars as "a little it Buffy. A little bit Bogart," and I think that's pretty apt. The series is set in and around Neptune High School- a playground for the very rich kids of privilege in California. There, cynical (but sweet...) Veronica Mars (Kristen Bell) suffers under the weight of her new status of "unpopular" after being dissed by the popular kids in school, including her former boyfriend, Duncan Kane (Teddy Dunn). You see, Duncan's sister, Lilly, was murdered last year, and Veronica's dad (formerly the Sheriff, now a private eye...) fingered Duncan's dad, billionaire Jake Kane, as the culprit. Protecting its own, the town-at-large didn't care for the accusations, and Veronica's Dad, Keith Mars (Enrico Colantoni) was thrown out of office in a recall election. Veronica was given the option of renouncing her father and his beliefs to stay popular and "cool," or joining in him in exile. She chose exile. I'm no push-over as a critic (see my reviews on the blog of Threshold, Supernatural, and Ghost Whisperer, plus certain episodes of Lost and Night Stalker if you don't believe me...), but Veronica Mars has me totally entranced at this stage. "Pilot," "Credit Where Credit's Due" and "Meet John Smith" all move with grace and humor on a carefully layered double-track. On one narrative track is the sort of "case of the week," and on the other is the continuing story-arc about Lilly and her death. The mix is just right, and everything is held together by creator Rob Thomas's noir sensibility and the performance of Kristen Bell as Veronica. And I have no reservations about stating this: Veronica Mars herself is a great character. She's Nancy Drew with attitude, and - like Sarah Michelle Gellar on Buffy the Vampire Slayer - Bell brings an interesting and potent combination of strength and vulnerability to her performances. I find it interesting that both Buffy the Vampire Slayer and Veronica Mars take as series leads' a "post-popularity" high school girl. That is, a girl who has been inside "the in-crowd" and ultimately rejected that shallow life, choosing instead a life of individuality. This choice (and it is a choice, mind you...) isn't easy, and both Buffy and Veronica take their lumps at school because they have moved outside the confines of the popular kids, the accepted norms. But what both characters have found in choosing self over group politics is an inner strength, one that can never be found by "joining," but only through, ultimately, doing your own thing in your own way. Buffy and Veronica are thus both strong role models for not just girls, but any high school age kids going through the travails of high school. But I'm not addicted to Veronica Mars because it "teaches" good lessons or is morally valuable, but because the series is so damn compelling. Who doesn't love a good mystery?! Again, I'm only three episodes in, but all those people who recommended this series are absolutely right. This is really, really good stuff. Can't wait to watch more. One more thing: why did I wait so long to catch up with this series? 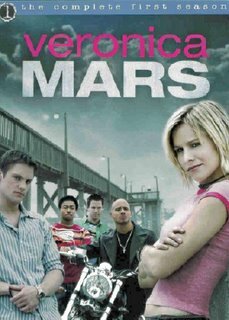 Well - mea culpa - I knew that Veronica Mars was set in high school, and the last thing I wanted to do was get into another teeny-bopper show. You know, I love Buffy the Vampire Slayer, but I get tired of all the "teen" programs on the WB, and so something about the idea of Veronica Mars and ANOTHER HIGH SCHOOL SHOW just turned me off. Let me just state for the record, if you're struggling with that same concern -- don't. The "teen" factor on this show is small; you won't be annoyed or irritated once. The performances and writing are both outstanding, and the high school as a setting is used cleverly and humorously...and not annoyingly. Just wanted to bring that up. Veronica Mars , the complete first season, is currently available on DVD. Excellent comments on Veronica Mars, and I wholeheartedly agree. VM is the rare television show that actually *exceeded* all the hype it was getting early last year in its first season, and now, halfway into its second season, it still almost never disappoints. It took me a little longer to get "hooked" into the show than it did you apparently (I needed to get to episode 5 or 6, both outstanding), but if you already like the show that much already, just wait. It doesn't reach true brilliance imho until the last few episodes of the season, and at that point, I was at the edge of my seat (er, couch) every week. Be sure to set aside a good chunk of time for those last five or six episodes because you won't want to hit the stop button. Thanks for writing about my new obsession -- Veronica Mars. My wife and I just finished the episode where it looks like Logan's mother maybe didn't jump off the bridge after all. Damn, this show is good! The only problem is that we're watching four or five episodes in a sitting - going through the series at warp speed. Don't know what we're going to do when we finish the first season and have to wait for the second season box set, since we've already missed the opening eps of the second season...maybe we'll just start the first season again. If you are already into the Logan-searches-for-his-mom arc, then you *are* watching at warp speed. You're already past the halfway point then, when things start to really heat up and the pace picks up considerably. VM stands up well to repeated viewing, and watching the first season over again once you know "whodunit" is fun because everything takes on added meaning and subtext. But if you want to get caught up on the second season episodes, send me an e-mail at miz_scarlett25 at hotmail because I have all the eps saved on DVD. Tonight is episode 10 and episode 11 doesn't air until late January, I think. I forgot to mention this: I noticed you commented about "Clash of the Titans" in a new post. It obviously has a connection to VM and you will get a kick out of an upcoming episode (17?) that makes the connection more literal. And of course the title of ep 12 "Clash of the Tritons" is a pun on CotT as well. Most of the VM episode titles are puns on movie titles or have double meanings. hi ... I was just browsing looking for the reason why this particular episode of 'medium' is titled 'Being Mrs. O'Leary's Cow', and it was really bugging me. Lo and behold, there is your website and see (glancing down very quickly), Buffy, which was my husband's and mine favourite all-time series, with 'Angel' a close second at the time. We're not 'kids' but 50/60's and we absolutely rave about this greate TV, but so many of our friends just don't get it. So, besides recommending 'Veronica Mars' so highly, we're going to check it out next weekend (this being Canada and nothing else to do but stay in on a weekend every now and then and watch this stuff 24/7 ... but I degress ... (a) I thank you for Veronica Mars, really looking forward to next weekend (as I said, 'medium' this weekend), but would still like to know why that particular title, 'Being Mrs. O'Leary's Cow'? 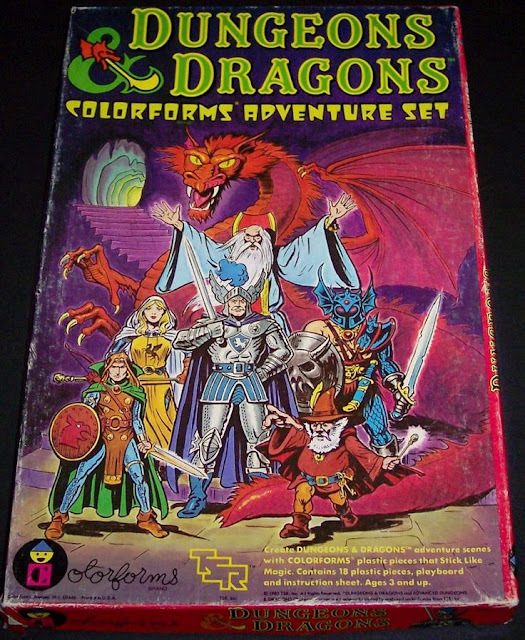 I couldn't find any connection to the story line, nor my husband, Kevin (who, by the way, gets me stuck into these series every time ... a man ahead of himself all his life and wanting to share with the world) ... digressing again ... sorry ... Any help you can provide would be gratefully appreciated ... Thank you.